Televisions and projectors serve two different purposes, and there are pros and cons to both. It really comes down to what experience you are hoping to get out of it. A projector will require you to have some sort of screen or surface to display the image. This also allows you to go really big, if that is what you are wanting. A projector uses a bulb, so it will not be as bright as a TV. For this reason, they typically work best in a dark basement or dedicated home theater room, where you can control all of the light. Another thing you need to consider with a projector is the “throw distance”. This is the distance between a movie projector lens and its screen. It is the distance the image is thrown onto the scree, and it has a large effect on the screen size. The average projector needs to be several feet away from the screen in order to project a large image. For example, if you want a 120 inch screen, most projectors will need to be about 13 or 14 feet away to get that size picture. So before making your decision, be sure you have the space it takes to maximize a quality projector. Last and probably least is remembering that a projector uses a lamp or bulb to project the image, and will need to be replaced periodically. A TV can be great for almost any space, but when you want something big, price is going to be much higher than with a projector. However, TV’s do have a lot of advantages over projectors. They are bright and therefore, easily viewed in any lighting situation (although who doesn’t love snuggling up to a good movie in the dark?!). Most TV’s are “smart” now, which means you can easily play shows and movies from all of your streaming accounts. You can do this with a projector, but it does require additional equipment. Lastly, the picture on a TV is much higher quality. Even with a small, fairly inexpensive TV, you’re getting a very advanced, clear and bright picture compared to a projector. Of course, a lot of these factors can differ depending on the amount you are looking to spend. 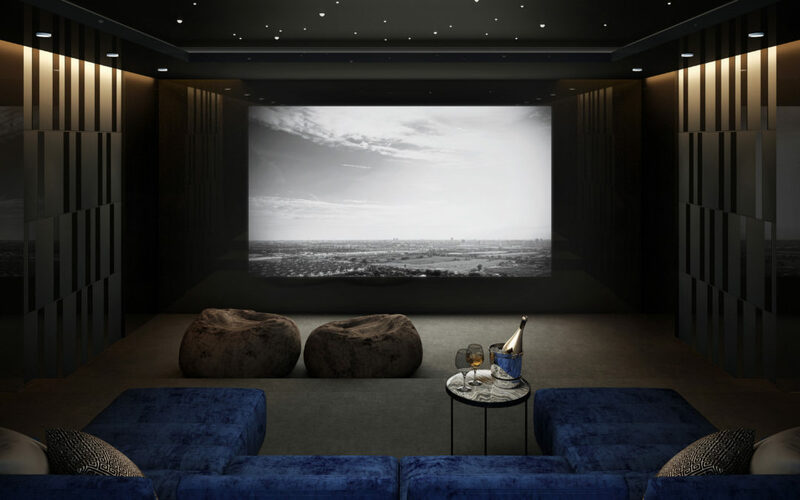 Projectors might have the “wow” factor and impressive viewing experience, where a TV is just like every other home on the block. As long as you consider all options and people your decision might affect (kids do tend to have opinions about these things), you should be confident in your decision. Of course, eventually, it’d be nice to have both…right? Give us a call today, and we can help you get started! 713-780-4601.